♦To meet the objective of a National Mission spelt out by our Honourable President, Dr. A. P. J. Abdul Kalam to Provide Urban Amenities in the Rural Area, (PURA), a bold initiative has been taken by Smt. Kamala & Sri Venkappa M Agadi Charitable Trust (Regd). 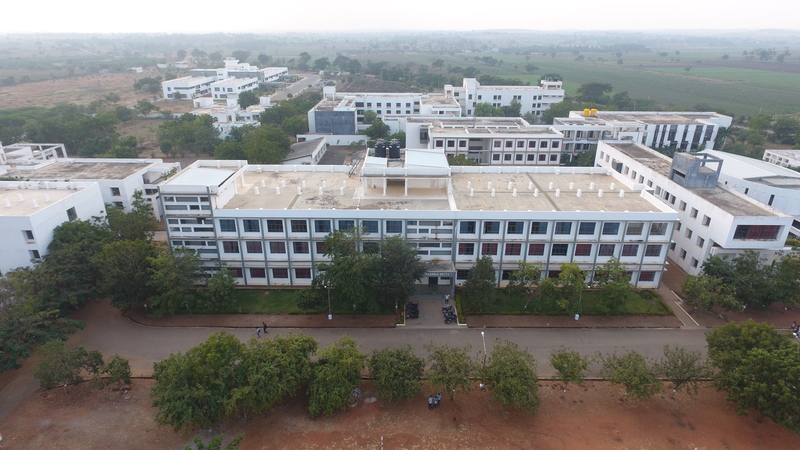 To promote this social and noble cause, they have set up a Science and Technology College in the rural area of Laxmeshwar for providing Quality Education to the rural population, at affordable rates and within the reach of the masses. This college caters to the not-so-well off, but meritorious students in the state of Karnataka, as well as Non Karnataka students. ♦The promoters are dedicated and sincerely working towards fulfilling the aspirations of the rural area population to fulfill their medical needs. They are in the process of setting up a Hospital and are trying to bring to their doorsteps all urban amenities. Employment generation and poverty eradication is their target by planning various Degree programs envisaged under PURA. ♦An Engineering College -the Dream of Late Prof. S. V. Sastry, the first Indian Aviator who made and flew the Aircraft, his name having been mentioned in the Book printed, published and released by Aeronautical Society of India, titled,” Aviation History of India” and circulated on Dec, 13th 2003 takes the shape with dedicated and sincere effort of his grand daughter Smt. Kamala V Agadi and her husband Sri Venkappa M Agadi, Former Chairman and Managing Director of Parke Davis (India) Limited, Mumbai, an affiliate company of US Pharmaceuticals Multinational , Warner Lambert, USA. They are dedicating their entire life’s savings and earnings for ‘Vidyadan’ by establishing an Engineering College in the rural and backward belt at Laxmeshwar, Dt. Gadag, North Karnataka and have made available technical education to the rural population at an affordable cost. 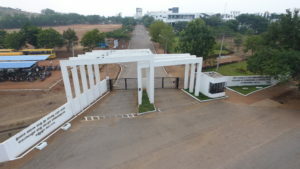 ♦The Dream Project is getting the shape as a boost to spread higher education, including Medical Care in the 40-acre land taken at that place- A Hundred Bed Hospital already planned. ♦The passion of the Cofounder and the Chairman was very intense to take up the good Social Cause as well as to provide Skill Stock to the nation. He has constructed building spread over 1,60,000 sq.ft to accommodate the Engineering College with the best Architecture. When all the phases of construction are over, the college will have more than 200,000 sq. ft. built up area. ♦The Trust and the Institution that are established are an eye opener and the pride of the country to show how words and deeds of our heritage are being translated into action for a social cause, to serve one and all- education, raising the Skill Stock, employment generation as well as planning to provide Medical Care without profit as the purpose. ♦The unique aspect of the Trust / College is that it is run and managed by a Professional, whose main objective is ‘Vidyadan’.